It's been a while since I've done a new Wordsmith Wednesday feature. 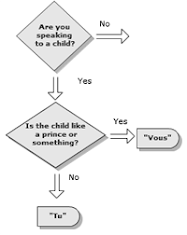 Now say that in French: for "since" do we use depuis or il y a? Both phrases denote passage of time, so it 's confusing -- so confusing that I spent a half hour on it in one-on-one immersion class in Provence, without benefit of English examples. I did (sort of) learn it, however, and since we're under no such no-English-in-this-room-buster constrictions here, let me try to explain the difference, because this is apparently a big deal to the French, and the first question you're likely to be asked by a Frenchman is either "How long have you been here?" or "How long have you not been (not) speaking French?" Depuis means both "for" and "since," as in "I've been in France for ten days" - Je suis en France depuis dix jours and "I've been sick since Tuesday" - Je suis malade depuis mardi. However, if you want to say, "I arrived an hour ago," you use il y a. So it's Je suis arrivée il y a une heure, which gets confusing, because the English literal construction of that seems to be "It's been an hour since I arrived" and we just said that "since" translates to depuis. What my French teacher told me -- and how she managed to do this all in French I can't recall, but it's quite a feat -- is that if the action is ongoing, you generally use depuis. If it's something in the past, use il y a. Doesn't always work, but close enough. If you're determined to get this right (and your effort is probably better spent elsewhere), check out the fine page on this at french.about.com. Quelle surprise -- la grève strikes again! The scene at the train station reminded me of stories of the eve of the Occupation, when panicked Parisians packed rail stations and streets, desperate to escape ahead of the approaching Nazis. On this night, however, those of us who jammed Gare Saint-Lazare were merely trying to get out of town before the transit workers went on strike. When I think about that night, coming after a long day of travel from Morocco, I see a scene, in black and white, of women in long skirts, heels, and nylons, carrying chic suitcases, scurrying toward their huge, steam-belching locomotives as the clock ticks down to the strike deadline. I see men in fedoras and pin-striped suits kissing their wives goodbye, not sure when or if they’ll ever see them again. And I see -- and this is the only even remotely accurate part -- I see an exhausted, sick American, sitting on the platform, slumped against a wall, nibbling on a piece of crust, quietly taking in the scene, waiting for his levain, the rest of his clothes, and his train. My next trip to France, a couple of years later, was cut short by another strike, which I barely evaded in a similar fashion, and now the train workers are on strike again. For what reason, you might ask? The right to retire at the age of -- wait, not 60, not even 58 -- but, for many, age 50, a benefit workers fear will be lost if the government succeeds with its overhaul of the antiquated structure. 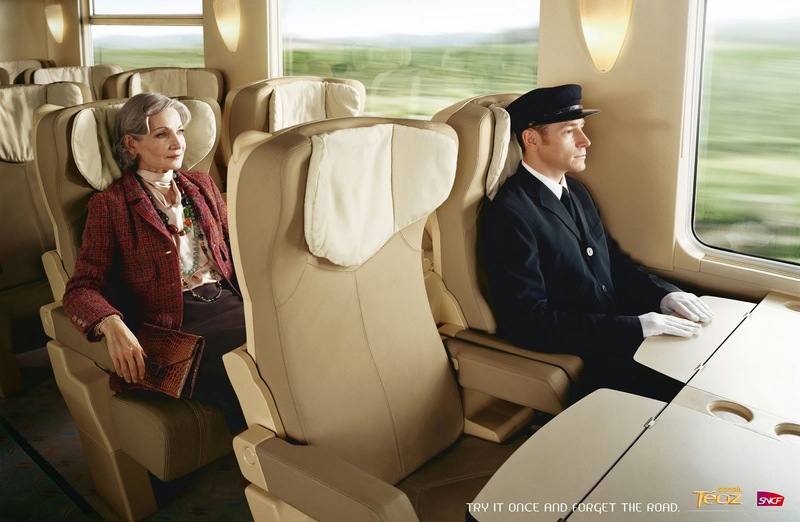 Don't get me wrong -- I love the French trains, which whisk you across the country at almost 200 miles per hour, but the train workers -- they'd last about 2 weeks at Amtrak. If you're reading this, you're too old to say "rouge"
I was feeling sorry for myself the other day over my inability to master the guttural French r that seems to originate from somewhere between the liver and the spleen, when I came across something that made be feeler both better -- and worse. The real chance to master this sound seemed to have ended at about the age of 9 months. This is based on a study of Asian babies. 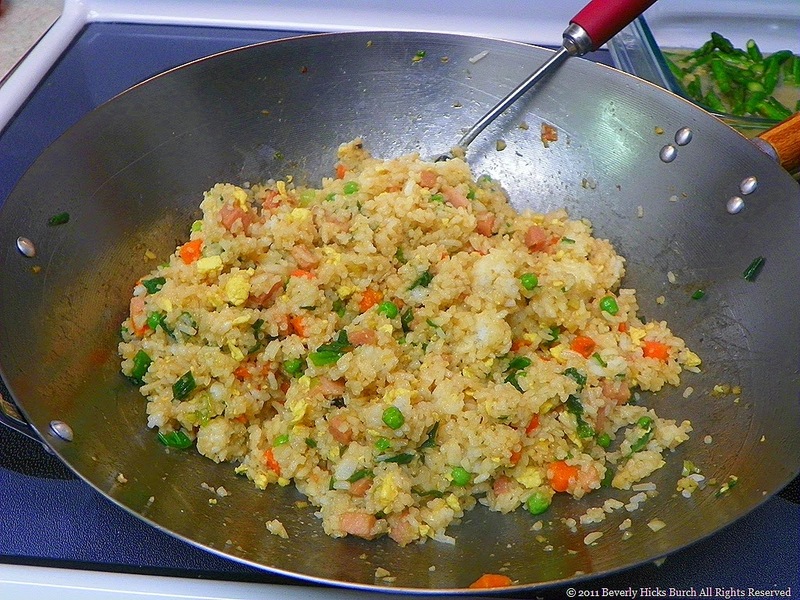 We all know the difficulty that Asian speakers have pronouncing the English sounds l and r -- you know, the stuff of bad Chinese waiter jokes about "flied lice." Well, it turns out the the core problem isn't that they can't pronounce these sounds: Asians can't pronounce them because, aurally, they can't distinguish between them. To native Asians, the l and r sounds, which don't exist in their language, sound the same! But not to native Asian babies, who can distinguish the two sounds. However, if not exposed to a Western language, they lose this ability not at the age of 6 years or even 2 years -- but at the age of 9 months! So, two lessons here: 1) Let's be kind to Asian speakers struggling with English; and 2) stop laughing at me because I gurgle and choke when I try to say the French word rouge. I should've started studying French 59 years and 6 months earlier. 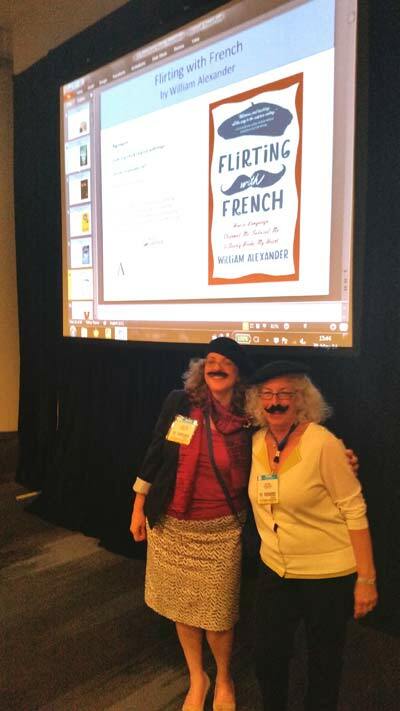 The publicity team at Algonquin Books unveils Flirting with French (and some facial hair I've never seen before) at BEA (Book Expo America) last week. Nicely done, mesdames! Un renard in le henhouse? Cardinal Richelieu must be rolling in his grave. L'Académie française, his 350-year-old institution charged with protecting the French language, has just inducted an Englishman. A bilingual Englishman, but nevertheless a full English-blooded, Cambridge educated Brit! 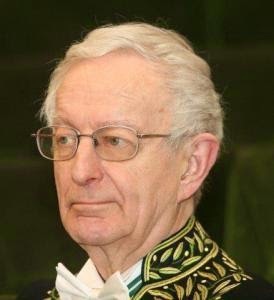 Sir Michael Edwards, a poet and scholar who writes in both French and English, is the first non-native francophone to be named to this august body founded under the reign of King Louis XIII, and whose charter obligates it to "clean the language of all the filth it has caught." Seeing that one can go to Paris for un week-end, leaving your car in le parking, while you faire du jogging, topping off your workout with un cheeseburger, I'd say the Académie has been asleep on the job. Coincidentally or otherwise, on the very day that Sir Michael was inducted, the editors of Le Petit Robert announced that they were accepting the words “selfie” and “hashtag” into their dictionary -- and by extension, French.) One can’t help but wonder, is choosing a Brit to guard the French language akin to inviting a fox into the henhouse, or do the members of the Académie figure that their language is better appreciated by francophile foreigners than native Frenchmen these days? One thing is certain: the Académie has its hands full these days, as the Internet and American technology are throwing all kinds of challenges at the official French language commissions charged with coming up with French version of such terms as "podcast," "wi-fi" and "cloud computing." The tendency of the French to be verbose works strongly against them in this Twitter age. Witness the words they came up with for "wi-fi": accès sans fil à l’Internet. Which is why in French cafés today you see signs for "wi-fi" (which the French adoringly pronounce "wee-fee"). Perhaps they figure an Englishman can help sort this all out. Bonne chance, Sir Michael!